Over a year ago, I wrote a brief article for the May/June 2007 issue of the Washington Apple Pi Journal that was an introduction to programming in REALbasic (RB). I followed that up with another article demonstrating the use of RB to build a simple checkbook register. Since then I have written several more articles, each adding more features to the original program to expand the original simple checkbook register into a full-featured application. This is the final article in my series. In this installment, I will show you how to add functions that will let you run the application as your own check register. No data files will accompany the application; you will generate them. Up to now, I have stored the application and the data files in the same folder so the application knew where the files were and thus, opened them automatically. This was convenient for a tutorial such as this. However, Macintosh applications are normally stored in the Applications folder and data files are normally stored in the Documents folder. Therefore I must add the capability to open the application and its files while they reside in two separate locations and to generate these files when the application is opened for the first time. To support the new code additions I will add five new globalFinancial properties: the boolean newAccount, shutdown and fileIsOpen and two folder items, dataFileFolder and dataFile. I will also add a new method, readFilePointer, so the program can locate the checkbook data files. First, I need to modify the transWindow initialize method to support the case where the application is opened for the first time. When the application opens there are two cases to consider so the logic goes like this. First, it looks for a file containing a pointer to the location of the folder that contains the check register files. If no pointer file is found, it follows that the application has never been run and new data files must be generated. However, if a pointer is found but it does not point to valid files, the application has been previously run and a correct pointer must simply be restored. The following readFilePointer method (added to globalFinancial) manages the first case and is called by the transWindow initialize method above. This method opens a file in the Preferences Folder to get the location of the data file folder. If the file doesn’t exist it must be a first opening and newAccount is set true. The new term “GetRelative” produces a function that points to the data folder location relative to the Documents Folder. The case where the pointer is invalid will be addressed later. This will force the application to write a new Preference file upon closing. Next, in the initialize method where newAccount is true, I will call the NewAcct window. The term “ShowModal” halts the program until either the OK or Cancel button in that window is pressed. If the NewAcct Cancel button is clicked, the variable shutdown will be set True. This will cause the application to quit under the assumption that the user doesn’t want to set up the new account at this time. The two pieces of information needed to open a new account are the account balance and the next check number. The new dialog, NewAcct, shown in Figure 1, briefly describes the files that will be generated and provides edit boxes to collect the required information. In addition the check boxes allow the user to prepare an initial listing of Payees and Depositors. Figure 1: When you open your checkbook application for the first time, this window appears and prompts you to enter the information you need to get started. This code begins with the method testEntries that insures all entries are valid. Then, the present year is used to develop the date for 31 December of last year to accompany the Brought Forward amount in the first record of the register that is built and posted in the following lines. 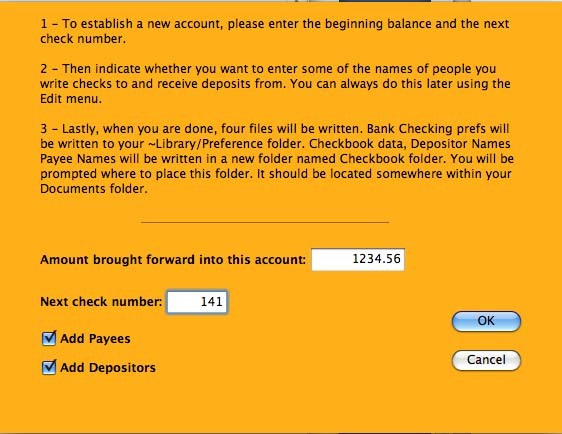 Next, if the user has checked either of the “Add” check boxes the newNames dialog box appears with the appropriate title (see Figure 2) to collect the Payee and/or Depositor names and build new files for them (see below). 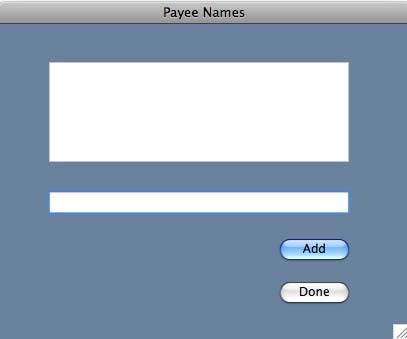 Figure 2: Add Payee & Depositor names with this window. Lastly, two flags are set. The newAccount flag blocks the reading of the Data, Payee and Depositor files which have yet to be written. The ListHasChanged flag will prompt the writing of the new data file when the application is closed. This method erases the window’s list box and rebuilds it from PayList. When done the Quit button merely closes the window, since the variable array is already updated. Where to Save the Files? Notice that by calling the defineNewFileFolder method as a boolean, if the user clicks Cancel, the save operation aborts. dlg.Title = "Indicate where Checkbook Folder should be located"
When this method is run, the dialog will prompt the user to specify where the Checkbook Folder is to be placed (see Figure 3). Note the dialog’s title and the button, “Select Folder.” Once this selection is made, the dataFile, the payeeFile and the depositorFile are placed within the Checkbook Folder in that location. Finally, the data pointer file is written to the Preferences Folder. 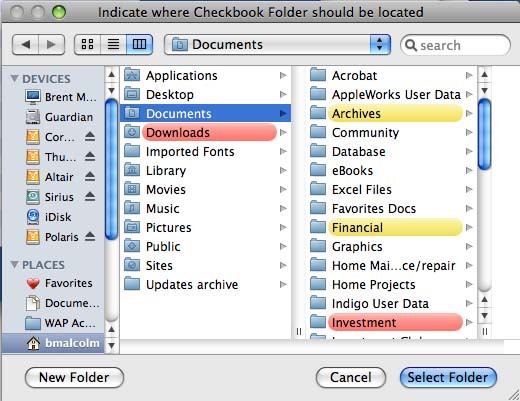 Figure 3: Where to save the Checkbook files? dlg.promptText = "Select a Checkbook Data file"
// is a file already open? This handler must consider the situation where you have a checking data file already open–for instance your current file–and want to open an archive file, so a test for saving the current file is required. Then a new open dialog is constructed so the user can select the desired file. If a file is already open, the check register is cleared and then the data file is read. dlg.Title = "The Checkbook data folder cannot be found." dlg.PromptText = "Please select the Checkbook data folder."